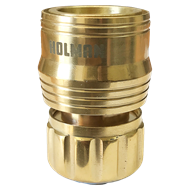 Holman’s Brass Hose Connector can be used on many types of garden hose. The separate locking claw is clamped down by the brass nut to provide a secure connection to the hose. The quick connect end “clicks” onto any 18mm male snap on fitting found all hose end garden watering products. 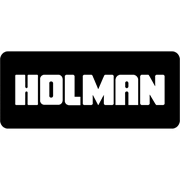 Featuring a machined non slip grip, it’s easy to handle and remove, especially in wet environments. The tough connector design is machined from solid brass and is virtually unbreakable. It’s ideal for the home gardener, handyman, to commercial or landscape applications.